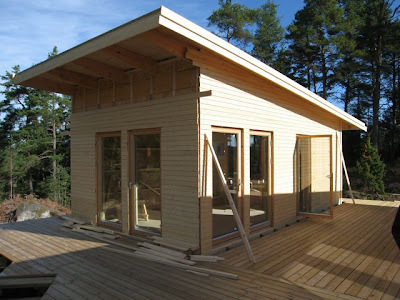 The folk at Garden2office have been busy constructing this Swedish summer house with a shedworking garden office in the same style right next door to the main building (and built with their modularbuilding system). Step-by-step pics at their website gallery. 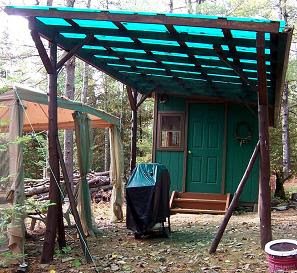 The buildings use the same stilt system that they use for their garden buildings rather than concrete. I was a little sniffy about Aarco's web site when I mentioned them last, but it's had a nice wash and brush up and is looking rather smart now and is well worth a browse (above is an example of one of their own projects based on Lugarde kits). The height of the building must not exceed 2.5m within 2m of the boundary. This means that most dual pitched roof home office buildings 15-30 sqm will be ok 1m from the boundary where the eaves are parallel to the boundary at 1m. 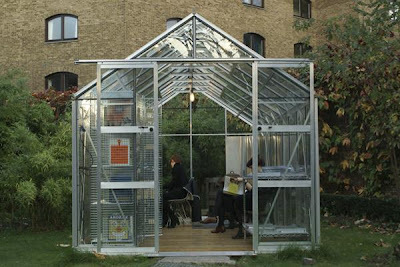 "The problem, with the new legislation if misinterpreted will mean that conventional dual pitch home offices will end up right in the middle of an urban garden and this is not what was intended or indeed what the clients want. I believe it is simply an adjustment to the wording that is required." Last week we profiled the new H2Office which looks really rather special. Now they've put up some more concept illustrations of models. Keep checking back to their blog for more details. 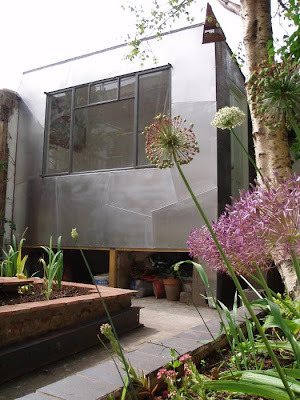 Shedworking is a huge fan of the work of Roger Deakin, not least because he slept and worked in a shepherd's hut. 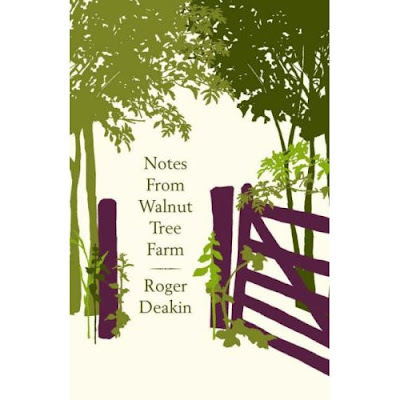 Sadly, he died in 2006, but his diaries have just been turned into a new book, Notes From Walnut Tree Farm. There's an excellent review of it by friend of Shedworking and editor of The Idler, Tom Hodgkinson (also a fan of shepherds' huts) at the marvellous Caught By The River (which is also a shop now), a site which defies categorisation so you need to go and look for yourself (all I will say is that if you like Shedworking, I'm sure you'll enjoy it, as it's all about the finer things in life). 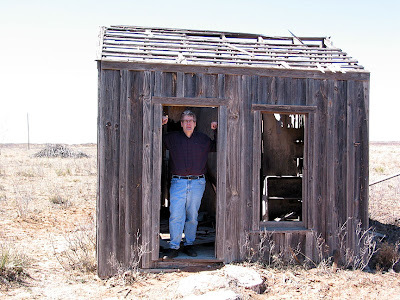 “I’m working on a book for Popular Mechanics (to be published by Hearst Books in 2009) and I’m looking for photos and stories about interesting sheds. 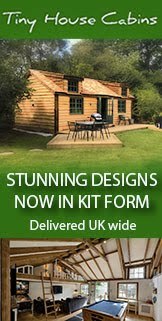 I’m especially interested in sheds that have something unique in their construction, such as the use of recycled materials, or that are an adaptation of a pre-fabricated kit or a variation on some shed plans. Unfortunately, only North American sheds can be used in the book. 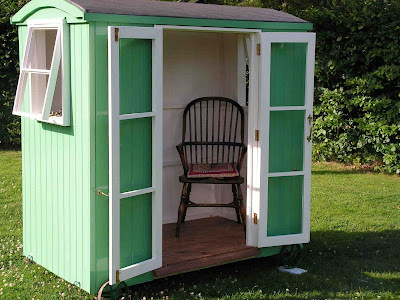 If you would like to share your shed or you know of a shed that might be of interest, please do get in touch." 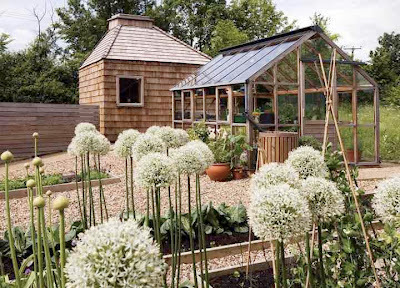 These marvellous garden buildings, part of a larger restoration project of a Grade II listed Tudor farmhouse, at Wakelins in Suffolk were designed by James Gorst Architects across a meadow from the main house. According to them: "The offset rooflights of the cedar clad buildings give the roofline the character of a small settlement." Photos by Alex Franklin. "Tip 1: Have less stuff! It's true that some creatives thrive in a messy environment, but they really are in the minority. Most of us need to clear up our clutter. I have always been of the mind that if you haven't used something in the last 6 months or year at the most, then get rid of it. In the case of an office if it is too messy, then it is very hard to think freely, have new ideas or make space for new business to come in when you are surrounded by mess. Be extra careful if you have too much furniture in there as well, as we tend to put bits on any free surface. A good layout means that you can freely move around the room. If you're home office is clear, your head will be clear. You are getting rid of the old, to make way for the new. If you find it hard to start, then visualize what it would look like if it were clear and imagine how you might feel when it's done, then put time aside to do it. If you're still kicking and screaming, tidy up in stages or do one bit of clutter each day." Recession and flexible working: will shedworkers be affected? "Poll after poll suggests employees rate flexible working or even home working as the most valued perk and this includes the up and coming Generation Y. Legislation extending the right to request flexible working backs this up. Polls also show that the economic downturn means more women are going back to work or working longer hours. Workingmums.co.uk's current poll asks precisely this question and some 505 people have voted with 79% saying that they are working or working longer hours because of concerns about a possible recession or worse." "The Church of Gardening was built for me by my husband, Matt Kizer, in 2007 as a birthday present. 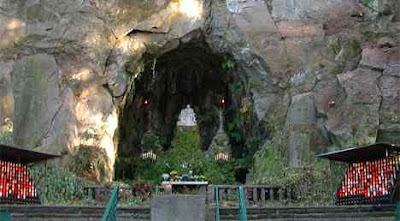 It has a stained glass window, a church pew, and a small statue of St. Francis. Nature is the religion here. It now has a lot of art, including clouds that Matt painted on the ceiling. 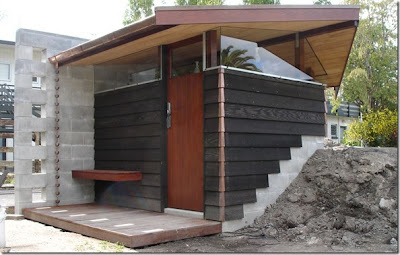 He used a lot of cool, salvaged materials, such as the door and antique windows. It also has solar lighting. The garden bench is made of old barn boards, a chippy paint cabinet, and slate on top. 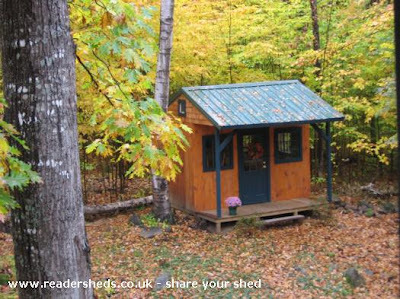 This is the best shed in the entire world!" 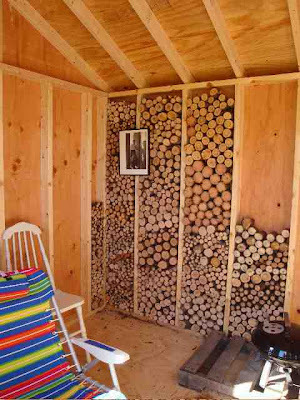 It's heading towards that time of the year when shedworkers start thinking about heaters. 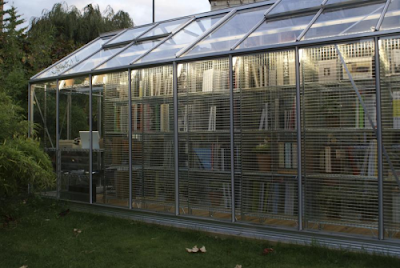 If you haven't bought one yet, there's a roundup of five green possibilities at Treehugger by Eric Leech which is worth a browse (and Lloyd has a survey on it too). 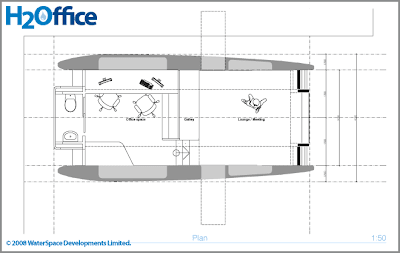 Continuing our recent floating office theme, here is the Schwimmhausboot from frisches Designlabel confused-direction (pictured above is a model, below the real thing taking shape). More of a home than a straight shedworking atmosphere, it's still rather marvellous, coming in at 14m by 4m high and 3m wide, with sitting room, bathroom, 'loft, and kitchen. 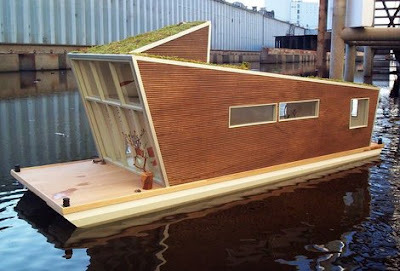 It's also extremely green (recycled wood, green roof, zero emissions). "The result is a wedge-shaped building with a sculptural black ‘crinkly tin’ roof which dips towards the rear as the plan form widens. The building is framed in timber and clad with untreated oak boards, graduated in size, which unfurl to create louvred screens over the windows. The large outer door swivels on a central pivot. 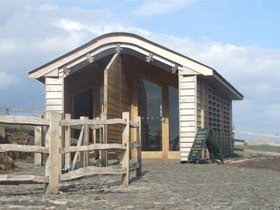 When closed it provides security and shelter to the exposed lobby area; when open it engages with the distinctive riven oak fencing, inviting visitors into the hut on one side as they approach, and directing them towards the Castle on the other side once they have purchased their tickets. The interior is simple, workmanlike and unpretentious. The wall claddings and fittings are in oak and the roof purlins are left exposed." The hut is close to the famous upturned boatsheds featured at Juliet Doyle's Musings From A Muddy Island which has an excellent gallery of photos of the sheds (including these pictured below) plus useful links to relevant news stories. "The average UK worker now spends 360 hours or 45 working days per year travelling to work . This works out as about 2906 miles per annum per worker resulting in the staggering figure of approx 78.5 billion miles travelled by the UK workforce each year. The knock-on effects of an often stressful and lengthy commute to work, are felt not just in terms of poorer work/life balance for the worker, but also by the UK economy as a whole." 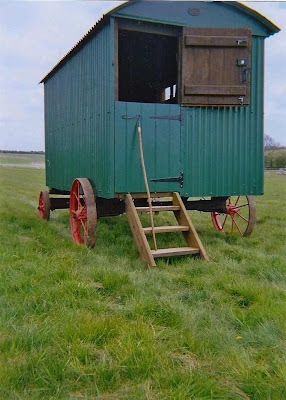 "The shepherds’ huts he made were their living quarters when they were out on the downs during lambing. They were equipped with feeding buckets and bottles and a stove, and the orphan lambs were kept in the warm by the stove. Making agricultural implements was a reserved occupation in the war, and Mr Judd served in the Home Guard. “On Sundays we used to have to go up to the camp at Bulford for training and drills,” he recalled. 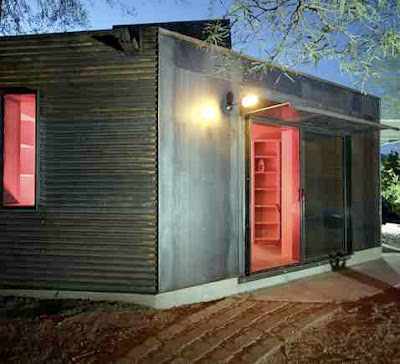 “We had to march from the barracks up to the rifle ranges.”"
Here's the rather special submonitor from binary which is a garden office and library with views towards the Catalina Mountain range. 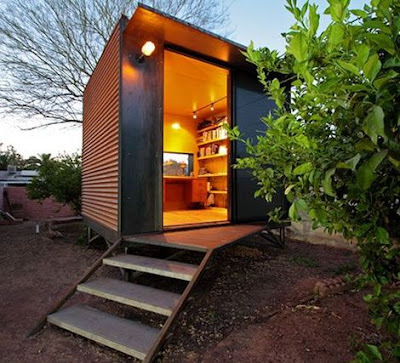 Below is the SEED[pod] also from binary via materialicious which is more for residential use but still a lovely shedlike atmosphere which could function as a home office as Archinect points out. Ross Clark in the Daily Telegraph raises the thorny issue of planning permission again, following James Dedman's planning dispute with East Hampshire District Council. 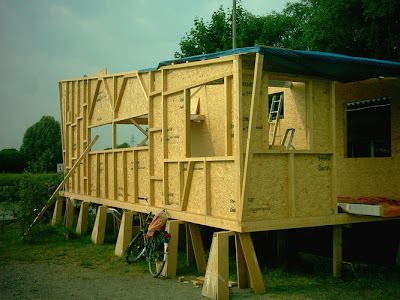 It's a complicated and sometimes philosophical story but well worth reading if you're considering building/renovating a shedlike structure, especially in a conservation area. 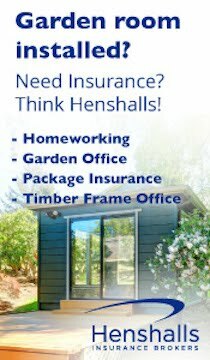 For those of you who use reddit, I've started a Shedworking community. 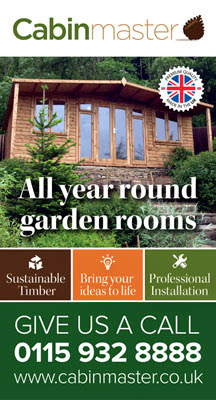 Please feel free to contribute with any links you would like to share with other friends of Shedworking. I am Yours is a new project by Bernd Krauss, the fall 2008 artist-in-residence at the Center for Curatorial Studies. 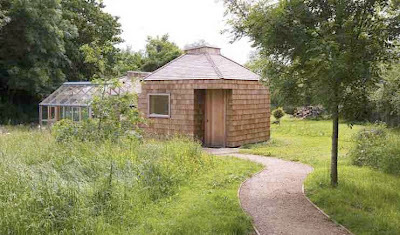 The centerpiece of the project is a quaint wooden shed situated on the grounds of the Center on the Bard College campus in Annandale-on-Hudson, New York. Built by the Amish and purchased locally in nearby Germantown, this type of shed is conventionally used to store gardening tools. 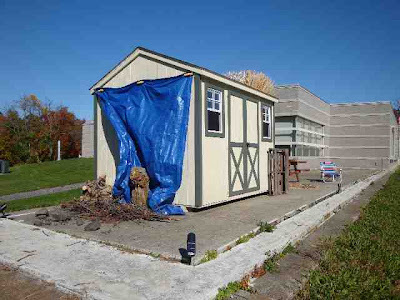 In the context of Krauss' residency, however, the shed will be transformed into a studio, a curatorial space, and has the potential to gain other new and unexpected functions. Although I think Janet Cardiff's and George Bures Miller's installation looks more like a shed. At Modern Art Oxford until January 18 2009. When gasoline costs $4 a gallon, companies shouldn't just be doing all they can to expand telecommuting — they should be scrapping their offices entirely. No, not turning them into toy-filled communal spaces, as advertising titan Chiat/Day infamously did in the early-'90s, but abandoning them outright. That might sound a bit radical to those who swear by the office's supposed benefits, like camaraderie and face-to-face collaboration. But time and again, studies have shown that telecommuters are every bit as engaged as their cubicle-bound brethren — and happier and more productive to boot. Today's must click, Brendan I. Koerner's Home Sweet Office: Telecommute Good for Business, Employees, and Planet at Wired. 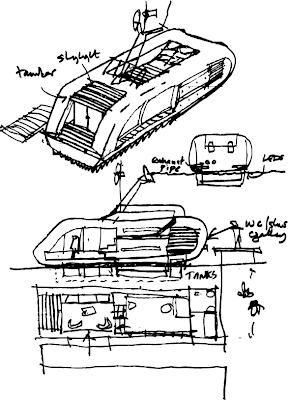 "Many new products come about because the inventor can't find anyone else making what he/she wants. 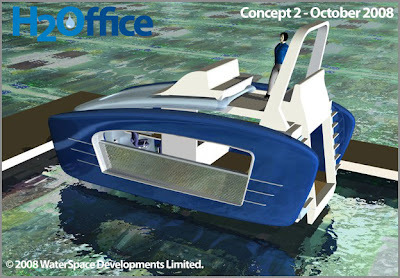 So it was for our "floating offices" concept. I wanted a small workspace in the local area to use as a base for my business projects. After scouring the market all I could find were boring, depressing "concrete prisons"! Some of the landlords wanted me to sign long leases. Some would allow a shorter lease but the rents quoted were high." 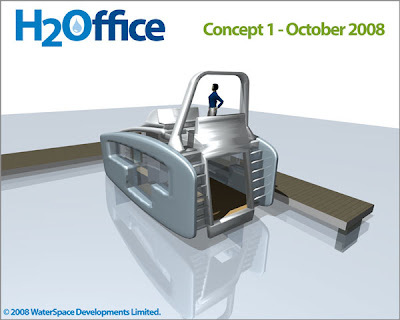 The answer, especially for those who like boats, is the H2Office (see early concept sketch above), a "purposebuilt workspace for aquatic environments". 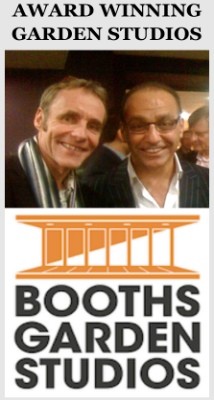 As Andrew says: "If you're lucky enough to have flexible working arrangements a floating office could considerably enhance your working life." 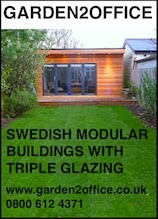 Andrew is also compiling a list of locations where the site owner/manager would be happy to let you moor your H2Office. There's also a just started up blog to keep an eye on. 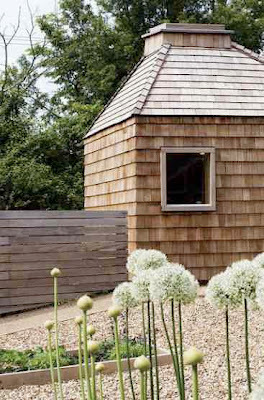 "One of the great things about good clients and good architecture is that once you develop a grammar for the primary building in a group, the rest of the 'collection' almost design themselves -- as a prime example, this garden shed, designed by some very fine clients as a perfect 'garden wall' addition to their main house. In particular, I love the way the rain chain and the 'slots' in the boundary block wall play off each other, and the way the sunlight comes through upon the decking. Very nice." There's more about Peter's work here. 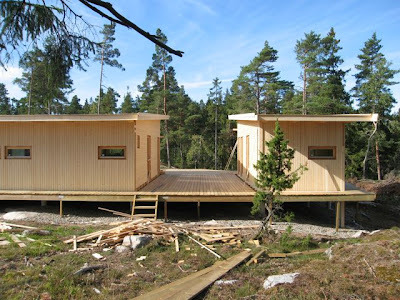 Our Small Cabin is a great site which looks at everything to do with building (and enjoying) your own cabin, shedlike atmosphere and even outhouse. 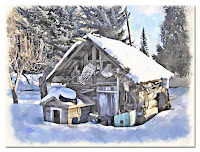 Much of the site follows the building of a small cabin in Bancroft, Ontario, but there are also many links and other useful bits of information. Well worth a browse. According to a new survey from Nokia, more than half of Americans have taken a work-related phone call or email in the bathroom. This is partly because nearly 60 per cent of Americans never turn off their mobile devices. More details - including information about Nokia's work-life balance week - at PR Newswire. 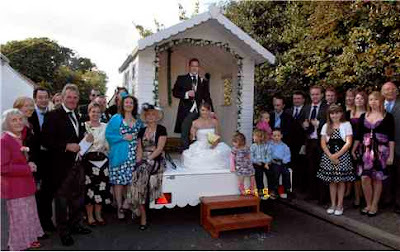 Those of you with good memories will remember our profile of N55's walking (shed)house. Those of you who were sceptical about its ability to move should take a look at the video above. More details from their site. 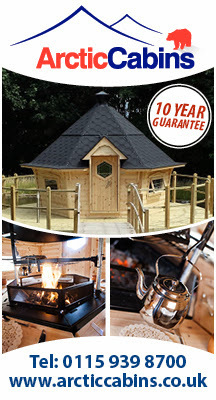 Whitmore Garden Features makes handmade wooden toys, trellis sheds, gazebos and other shedlike atmospheres. 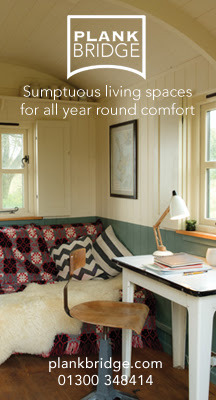 Above is a shepherd's hut-style garden office which, like the other products, is made using locally sourced timber from recognised sources in the WGF workshop (which visitors are welcome to drop into). 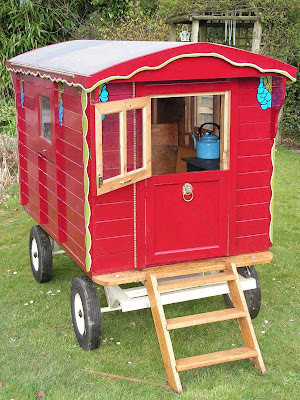 Below is a children's gypsy caravan playhouse. Very pleasant. That's what Shed Style is wondering. What do you think? Security is one of the key considerations for any shedworker. One of the experts in the field is Gardien Garden Security, an internet-based company who also run English Garden Antiques and have considerable experience in the field (their security director Mick Gains has decades of experience as a police officer and has been awarded the Queen's Police Medal for services to Crime Prevention). 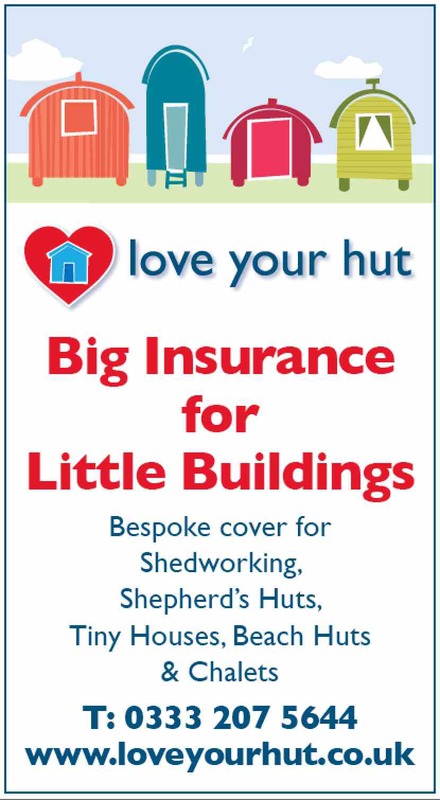 There's plenty of information on the site about shed security, insurance and even a consultancy service. Well worth a browse. 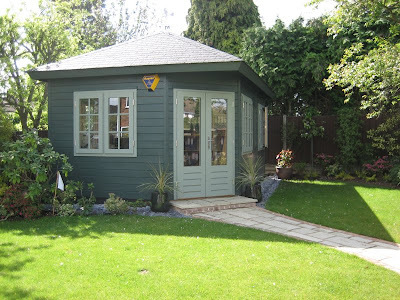 "Keeping the shed secret from Sara proved especially difficult for the Scott family, as she works with Tristan's mother in the office of the Horsford workshops. 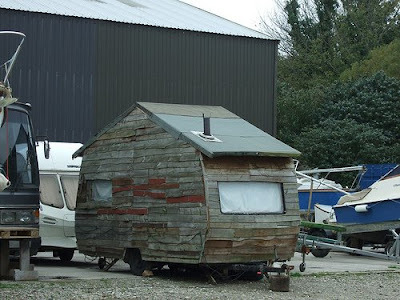 Tristan said he had to pretend he was clearing the decks before the honeymoon when he sneaked off to make the shed on Sunday mornings over the past month." "The sitting room has a sofa with hand-stitched velvet cushions, armchairs and the small dining table where the Queen and Prince Philip have breakfast. The table can be extended to seat six people. There is also a desk in one corner where Her Majesty works on her official papers. Even on the Royal Train, after a full day's engagements, she spends an hour or two working on her 'boxes'. These are the red cases that go with her wherever she is in the world, containing official documents from Government departments, both in the United Kingdom and the Commonwealth, that have to be read and initialled." Naturally, officials of the Royal Household work on board too. 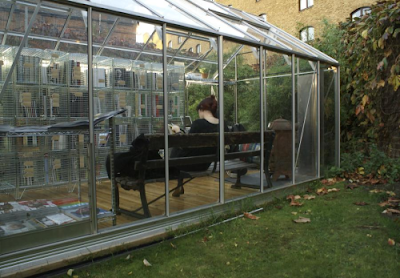 Writers have always been at the forefront of the shedworking revolution. 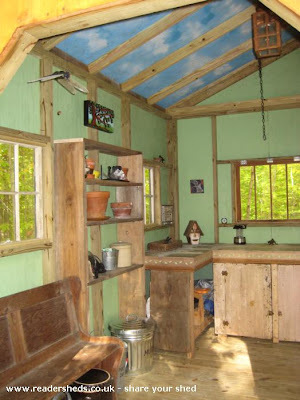 Tip top science fiction writer Jack Williamson wrote in this wooden shedlike atmosphere above (more photos at Scott Edelman) which he built himself. 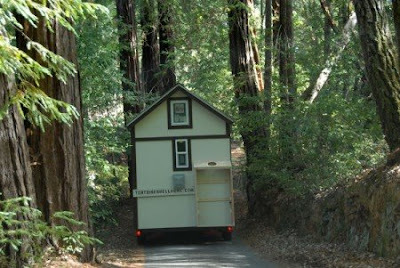 Tonke Campers: sheds on wheels? Are beach huts beating the credit crunch? Do you know what an exedra is?